Hight Intensity Interval Training (HIIT) is our Monday morning routine. We’re fond of saying that when it comes to working out, you should never miss a Monday. Part of that is just the positive, psychological encouragement you get from starting the week off right. But we also know that our HIIT is an incredible workout that will take your training to the next level. What’s HIIT all about? We’ve written about HIIT before, but if you’re the TL;DR sort then I will summarize it in one word: effort. If you’ll let me use two words then I’d say maximum effort. I don’t care who you are, maximum effort is hard! 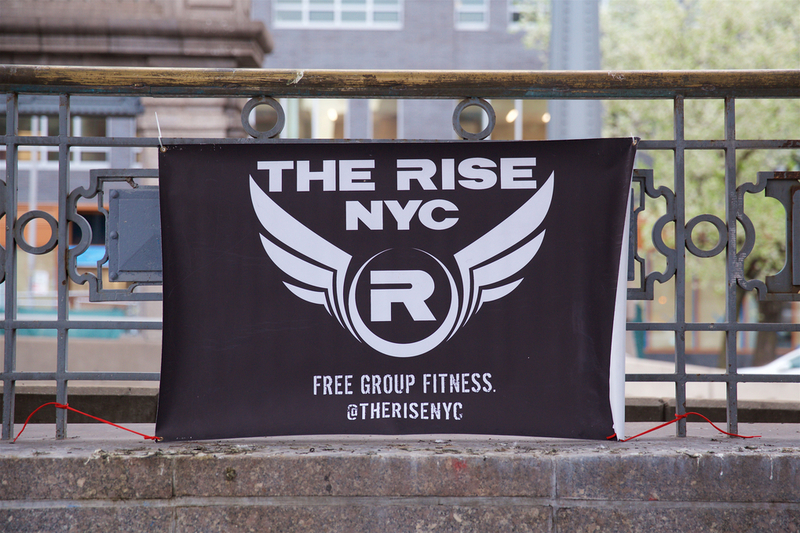 And that’s where working out with The Rise gets interesting. We love Monday mornings because we get to do our HIIT workout TOGETHER. It’s encouraging to see other people pushing their limits. Why not push yours? The difference between doing this on your own and with other people is huge. The beauty of a HIIT workout is that everybody can push themselves a little harder. It doesn’t matter what kind of shape you’re in. Do one more lunge jump. Squat jump a little bit higher. Burpee a little bit faster. Look across the circle and see if you can keep pace with Darren’s pushups. Just kidding. That’s impossible.